Baroque music lovers, as well as anyone fascinated with the play of themes and variations, can lift a glass at Zipper Hall in downtown Los Angeles as the Los Angeles Chamber Orchestra (LACO) opens the door to the holidays. 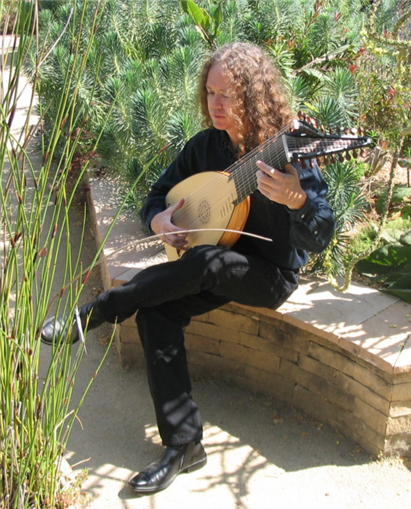 Featuring the esteemed John Schneiderman playing lute and Baroque guitar, the first of five “Baroque Conversations” concerts will be held on Thursday, December 5, 2013, 7 pm. LACO Concertmaster Margaret Batjer, who hosts and curates, is joined by LACO’s Tereza Stanislav, violin, Armen Ksajikian, cello, Nico Abondolo, bass, and Patricia Mabee, keyboard. For eight years now “Baroque Conversations” has been re-discovering the sources of orchestral repertoire and tracing them from early Baroque schools through the pre-classical period. The focus this year will be on how Baroque composers developed a simple theme or melody into the elaborate and intricate music of the era. What fans will much appreciate is that each concert host offers expertise on the music in conversation with the audience, fielding questions and discussion that shed light on the music. This pre-concert talk includes a complimentary wine reception for all ticket holders at 6 pm where audience members can get to know LACO artists on a more personal level. The program opens with Passacaglia in D major by Sylvius Leopold Weiss and also includes Karl Kohaut’s Lute Concerto in F major (No. 1); Tarquinio Merula’s Ciaccona; three sonatas by Domenico Scarlatti; the Ciaconna from Mauricio Cazzati’s Varii e Diversi Capricci, Op. 50; and Arcangelo Corelli’s “La Follia,” Op. 5, No. 12, among other works. Corelli and Scarlatti span the bridge from early to late Baroque music. The melodic follia, generally a slow sarabande, is among the oldest of musical themes in Europe. Over the course of three centuries, more than 150 composers have used it in their works. Arcangelo Corelli’s “La Follia,” Op. 5, No. 12, variations for violin and accompaniment, arguably the most popular instrumental music in his day, is one of the most time-honored motifs in music history. While it began as a simple Portuguese folk tune/dance with a designated chord progression, the theme became both beloved and widely circulated during the Renaissance and Baroque periods. Corelli composed his own variations for it in 1700, Marais in 1701, Scarlatti in 1710, and Vivaldi in his Op. 1, Mo. 12 of 1705. “La Follia” evolved gradually, appealing to endless composers across Europe including Bach and Beethoven. It seemed that any composer of repute straight through the classical era and the 18th century was expected to build upon “La Follia.” Even Liszt and Rachmaninov subscribed to this theme-and-variations trend. he is highly praised for his keyboard sonatas, having attracted notable admirers such as Chopin, Brahms, Bartok, Shostakovich, and many others. Already a renowned harpsichordist in Italy as a young man, his unstoppable curiosity took him to Spain where he remained until his death. There he immersed himself in the country’s folk tunes and dance rhythms, with their unique Arabic and later gypsy influences. He composed more up to 555 harpsichord sonatas, highly original: the "folk" element is nearly always present throughout these works. Public Radio International has proclaimed Los Angeles Chamber Orchestra (LACO) to be “America’s finest chamber orchestra.” Since 1997, much of that credit belongs to its prolific and vivacious conductor and pianist Jeffrey Kahane, who has given audiences worldwide his interpretations of historical masterworks and those of contemporary composers as well. During its 45-year history, the Orchestra has made 31 recordings, toured Europe, South America and Japan, performed across North America and garnered eight ASCAP Awards for Adventurous Programming. Branching out from its home in downtown Los Angeles, LACO presents its Orchestral Series at Glendale’s Alex Theatre and UCLA’s Royce Hall and its Baroque Conversations at downtown Los Angeles’ Zipper Concert Hall. In the spirit of education and enrichment for audiences, included in pre-concert talks with the conductor at each of these programs, LACO’s Westside Connections chamber music series at the Moss Theater in Santa Monica serves precisely to illustrate the relationship between music and other artistic disciplines; and in the same vein, LACO’s annual Discover concert at Pasadena’s Ambassador Auditorium is designed to explore in depth a single piece of music. The first installment of Baroque Conversations spotlights lutist and guitarist John Schneiderman. In his childhood Schneiderman was already noted as a virtuoso of plucked instruments; he has delighted audiences ever since with the repertoire of 18th-century lutes and 19th-century guitars. As a soloist and chamber musician and he has performed with the Los Angeles Opera, Los Angeles Chamber Orchestra, Los Angeles Philharmonic, Los Angeles Master Chorale, and Los Angeles Baroque Orchestra, and he currently sits on the faculty of the University of California Irvine. 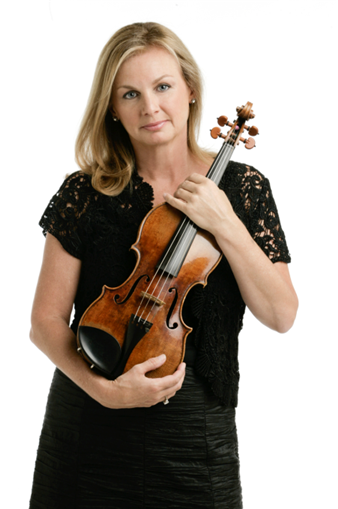 Leader of the evening’s concert is Margaret Batjer, Concertmaster of the Los Angeles Chamber Orchestra since 1998, who made her first solo appearance at the age of 15 with the Chicago Symphony Orchestra. She has since returned to the CSO and soloed with numerous American symphony orchestras while performing with such European ensembles as the Chamber Orchestra of Europe, Prague Chamber Orchestra and Berlin Symphony Orchestra and at festivals in Salzburg, Naples and Cremona. In 2008, she launched LACO’s innovative chamber music series, Westside Connections. Violinist Tereza Stanislav, LACO’s Assistant Concertmaster, has appeared at the Library of Congress, Wigmore Hall, and Carnegie Hall’s Weill Recital Hall, and with artists such as Jean-Yves Thibaudet, Jon-Kimura Parker and Hung-Kuan Chen. 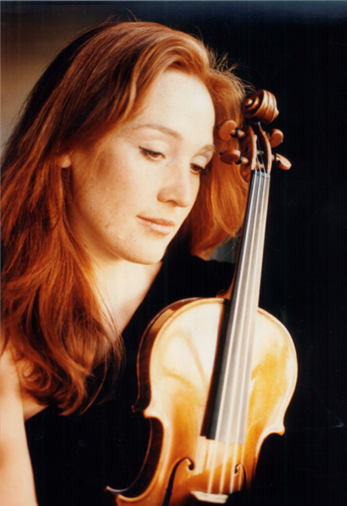 Advocating new music, she has performed several world premieres including Gunther Schuller’s Horn Quintet with Julie Landsman, Louis Andriessen’s The City of Dis and James Matheson’s Violin Sonata while also serving as concertmaster of the Los Angeles Opera’s 2010 production of The Marriage of Figaro, conducted by Plácido Domingo. Nico Abondolo, principal double bass of LACO, has appeared with the Chamber Music Society of Lincoln Center and has toured with the Chamber Orchestra of Europe under Claudio Abbado, Sir Georg Solti and Lorin Maazel. Cellist Armen Ksajikian has performed as principal and soloist with LACO and the Opus Chamber Orchestra. He toured New York and Europe with the Los Angeles Philharmonic and Japan and Brazil with the Hollywood Bowl Orchestra, and has worked with a wide variety of composers and musicians such as John Cage, John Adams, John Williams, Chick Korea, and Randy Newman. LACO’s principal keyboardist Patricia Mabee has appeared with Sir Neville Marriner and Christopher Hogwood and has been pianist for the world premieres of John Adams. She performs with the Bach’s Circle, which focuses on the music of JS Bach, his sons, and contemporaries, and is the music director of Ritornello, a period instrument ensemble. Margaret Batjer, leader & violin; John Schneiderman, lute & Baroque guitar; Tereza Stanislav, violin; Armen Ksajikian, cello; Nico Abondolo, bass; Patricia Mabee, keyboard. Four additional “Baroque Conversations” concerts take place on Thursday, February 6, Thursday, March 27, Thursday, April 17 and Thursday, May 1, 2014. Subscriptions to all five “Baroque Conversations” concerts ($235) are available by calling LACO at 213 622 7001. Tickets for individual concerts (beginning at $55) are available online at laco.org, by calling LACO at 213 622 7001, or at the venue box office on the night of the concert, if tickets remain. Student rush tickets ($10), based on availability, may be purchased at the box office one hour before the concert.